This letter was written by 32 year-old Pvt. Peter Glackin (1830-1862) of Company D, 69th Pennsylvania Infantry — the “Irish Volunteers.” Peter was a native of Ireland and I believe he became a naturalized citizen of the US in October 1853. I also think he was residing with the John Donelly family in Philadelphia at the time of the 1860 US Census. He enlisted on 31 August 1861 and was killed at Chantilly, Virginia, on 1 September 1862. He should not be confused with another soldier by the same name in the same regiment. 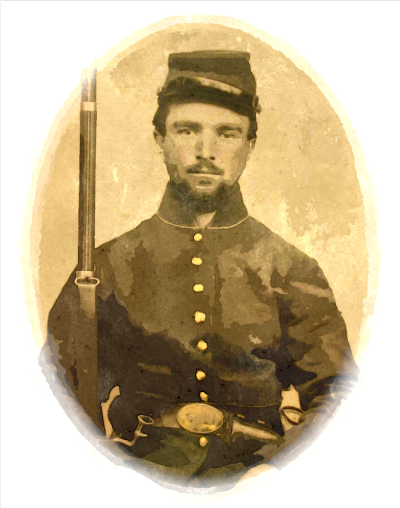 The other Peter Glackin (1819-1894) served in Company G, 69th Pennsylvania Infantry and became an invalid in May 1862. He lived until 1894 and was buried Philadelphia. He was married to Mary Glackin. In the letter, Peter refers to the Battle of Fair Oaks Station (or Seven Pines) which took place on 31 May and 1 June 1862 as part of the Peninsula Campaign. In the battle, Confederate General Joseph E. Johnston attempted to overwhelm two Federal corps on the south side of the Chickahominy River. Both sides sustained heavy casualties and both sides claimed victory. I write these few lines to let you know that I am recovering my health. 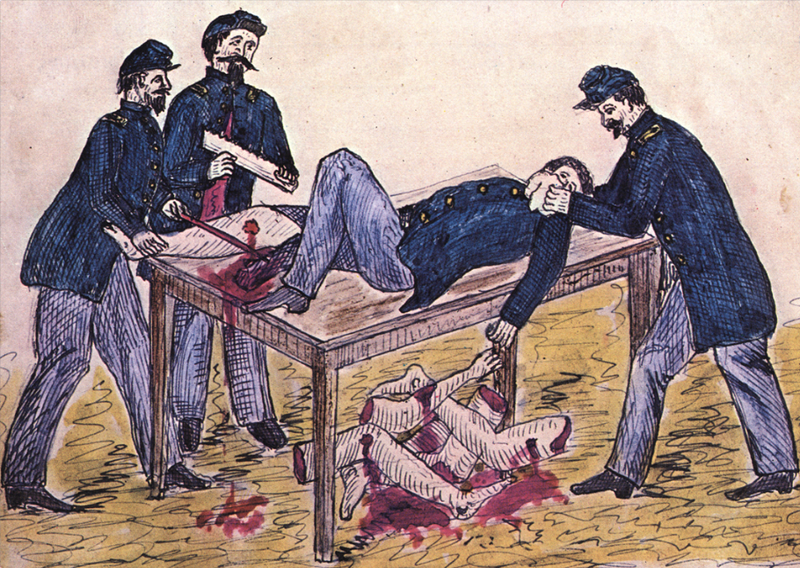 I was struck with pleurisy about the time that the regiment was about leaving Yorktown and was sent to the Brigade Hospital and have returned to the regiment about 4 days ago [31 May 1862]. I do expect that I will in a few days resume my duty. The regiment and the whole division is at present moving in towards Richmond and meeting strong opposition as the Rebels made an attack upon our troops on Saturday last [31 May 1862] and there was desperate fighting that afternoon and evening until night and was resumed the next morning — Sunday — and continued pretty much the whole day. There was numbers slain on both sides but the Rebels had to fall back and out troops are advancing slowly after them towards Richmond. I am in camp — that is, the campground that the regiment left with several others, as the tents and all things appertaining thereto are left here. I suppose the regiment is about 8 miles from here towards Richmond and the rations have to be taken to them daily. I was out last Sunday [1 June 1862] with rations as we have to help carry it and there was piles of dead upon the field unburied and likewise wounded with arms & legs cutting off as fast as they could be attended to. I was uneasy about the money that I sent home but I have got your two letters and am sorry you had so much trouble to get it as I will avoid for the future such mistakes. We got paid 2 month pay last Saturday [31 May 1862] and the regiment was but just paid when they were ordered out and will not return this way anymore. As soon as I see a safe opportunity to send you some money, I will do so. And when I do send you this money, I want you to be punctual about paying some money due and I want you to be sure and carry out my will in this case as it will be to your advantage to do so. When I am sending the money, I will mention the person that the money is due to. I would like to know the reason that you have changed the direction of your residence. This entry was posted on Wednesday, October 8th, 2014 at 7:01 pm	and posted in Uncategorized. You can follow any responses to this entry through the RSS 2.0 feed. This Peter Glackin was my grandfather’s great-grandfather. The PA 69th re-enactors came out to do a nice graveside ceremony. I filmed it..